PADMA 28 is a multi-component herbal mixture formulated according to an ancient Tibetan recipe. PADMA 28 is known to stimulate collagen production and reduced levels of collagen-degrading matrix metalloproteinases (MMPs). 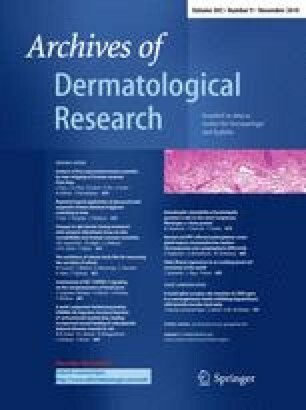 The goal of the present study was to determine whether topical treatment of rat skin with PADMA 28 would improve skin structure/function, and whether subsequently induced abrasion wounds would heal more rapidly in skin that had been pretreated with PADMA 28. Hairless rats were exposed to a potent topical corticosteroid (Temovate) in combination with either DMSO alone or with PADMA 28 given topically. At the end of the treatment period, superficial wounds were created in the skin, and time to wound closure was assessed. Collagen production and matrix-degrading MMPs were assessed. Abrasion wounds in skin that had been pretreated with PADMA 28 healed more rapidly than did wounds in Temovate plus DMSO-treated skin. Under conditions in which improved wound healing was observed, there was an increased collagen production and decreased MMP expression, but no significant epidermal hyperplasia and no evidence of skin irritation. The ability to stimulate collagen production and inhibit collagen-degrading enzymes in skin and facilitate more rapid wound closure without irritation should provide a rationale for development of the herbal preparation as a “skin-repair” agent. The authors would like to acknowledge PADMA AG (Schwerzenbach, Switzerland) as the source of the PADMA 28 used in the study. The authors would also like to thank Lisa Riggs and Ron Craig (Histomorphometry Core Laboratory) for help with histology. The core laboratory is supported by the Department of Pathology, University of Michigan.